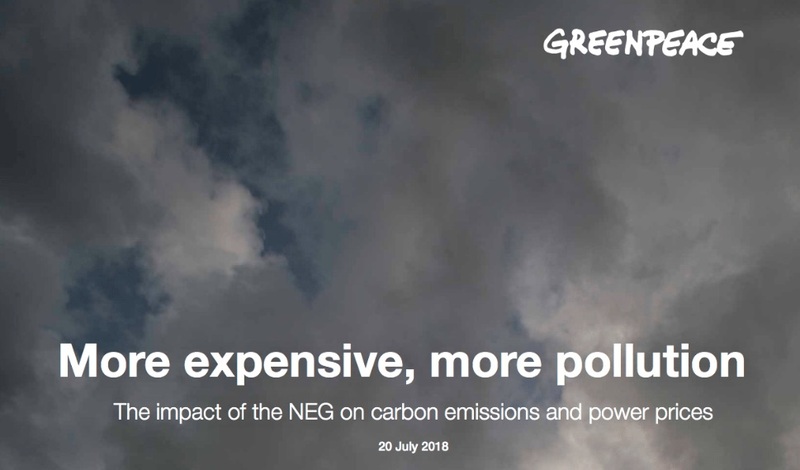 Greenpeace just released new modelling, commissioned from private firm Reputex, showing that the National Energy Guarantee (NEG) will lead to higher power prices and do nothing to lower emissions. The research shows the government’s “plan” on energy, contrary to their spin, fails on climate emissions and it fails on power prices. The report can be found on the Greenpeace website. It has been covered by the Guardian, AAP, Fairfax and The Australian, and on radio and television.